Residents of University Place, WA who desire the finest possible auto body refinishing that makes their vehicle looking and feeling like new should trust their car paint job to City Center Collision Services. Our auto paint shop has been the most reliable choice for car paint in the University Place area since 1998. 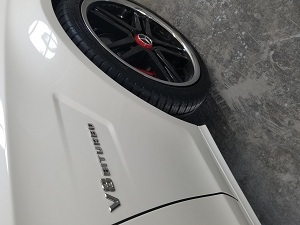 We credit our excellent standing and huge clientele to the detailed prep work we perform before applying car paint on University Place vehicles. Why Should University Place Residents Choose Our Auto Paint Shop? 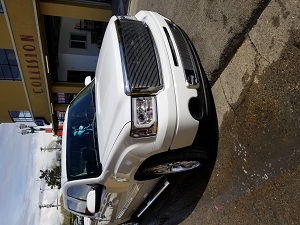 We have full faith in the capabilities of our technicians and this shows on all painting jobs done at our auto paint shop on University Place vehicles. With Standox Stando-blu water born paints & primers, computerized color-matching and state-of-the-art paint booths, our auto paint shop gives University Place vehicles a wonderful, factory-like glossy finish. No wonder, we are the auto paint shop University Place residents happily trust with their vehicles! Vehicle owners in University Place looking for car paint services can call City Center Collision Services at (253) 948-4655 or get a free online estimate.